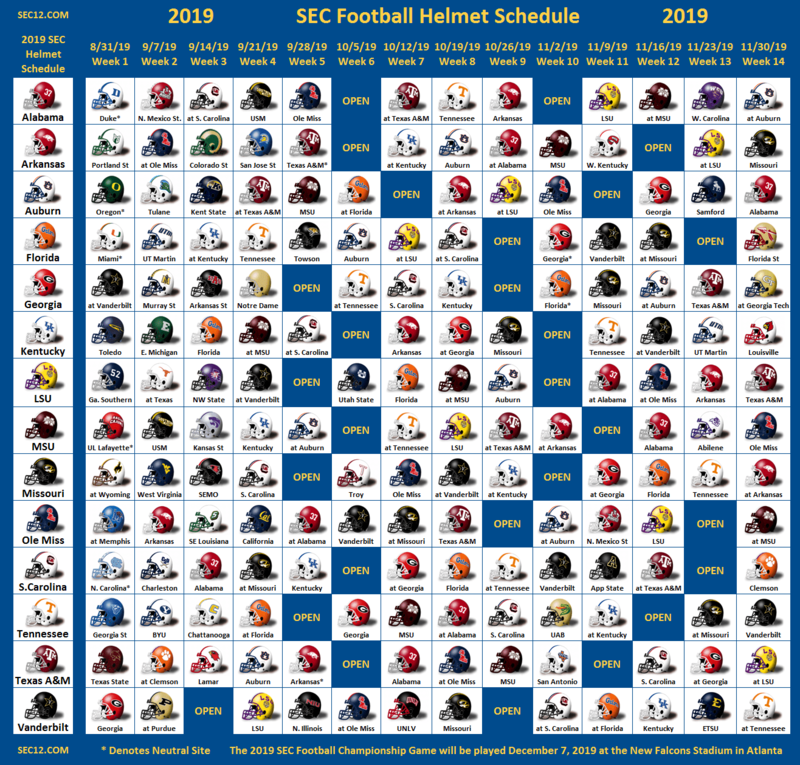 The SEC Football Helmet Schedule is a compilation of the football schedules for all 14 SEC schools along with the helmets for every game to produce our one page SEC Football Helmet Schedule poster. Print the SEC Football Helmet Schedule, frame it and hang it the wall for an awesome conversation piece. If you are looking for a smaller SEC Football Schedule with all games to print and keep in your wallet or tack on your bulletin board, please visit our 2019 SEC Football Schedule Grid here.